Maybe it’s the season changing, but something from the landscape kept coming over me. The summer had been a brutally hot one, and the land baked day after day, and seemed to be unyielding even though wheat and sunflowers grew abundantly. Perhaps it’s the first few cool days and the light’s new, revealing power that made me conscious again of the space I live in. 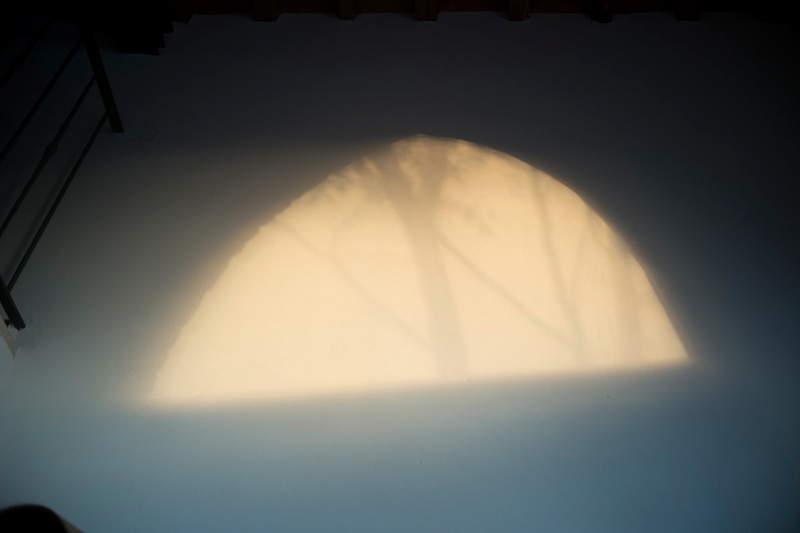 The light in the house has changed too, and turned the tall space of what was once the hayloft into a camera obscura, projecting the arched shape of the window on the wall for a 20 minute exposure, in which the form of the acacia tree outside drew itself across the wall like a silent movie screen playing a slow motion fade out. It’s lovely to see how natural and simple the principles of photography, before it was photography, continue to make their presence felt. I can easily imagine how in earlier times, say the 15th century (probably well before that too), people had these same ‘momentary visions’ come and go inside their homes, but were unable to hold on to them until Louis Daguerre and William Henry Fox Talbot figured out how to fix the image for later study. 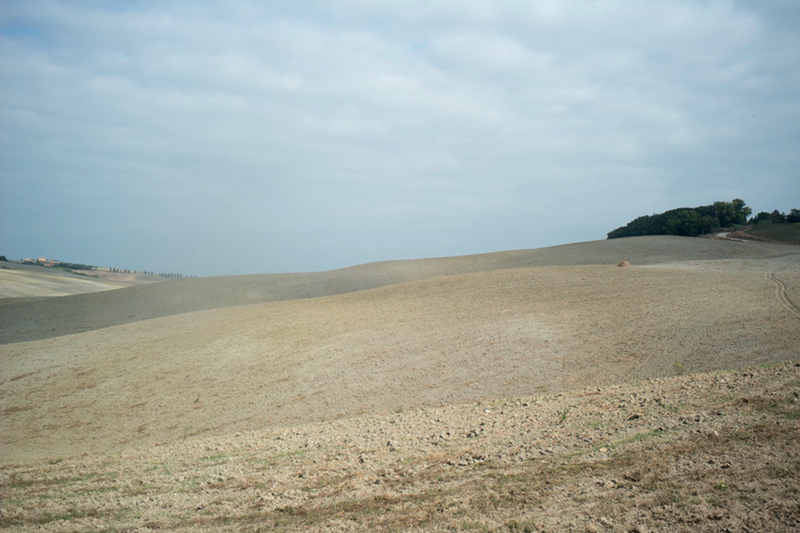 This entry was posted in Interior, Light, Tuscany and tagged Interior, Landscape, Light, Tuscany on September 26, 2015 by joelmeyerowitz2014.